Storage is a vital ingredient when deciding which family car to buy. Whether it’s space to fit in prams, pushchairs or the usual baby paraphernalia that’s required in the early years to plenty of room for family holiday luggage, it’s a key factor. This article takes a look at a handful of family cars and vehicles and looks specifically at their storage facilities and boot space. The mid-range flagship model from Kia has become a powerful force in the small family car market in recent years. This has come in part from excellent fuel economy and terrific levels of in-car equipment and kit for a car at its price point, but also because of its excellent storage space. The Cee’d has a class-leading boot space, with accompanying lighting and load covers, plus an under-floor storage tray, centre console storage, multiple cup-holders and many other space-saving devices as standard. The rear seats also fold to allow much greater loading capacity, and the car is filled with clever ideas to make the most of its interior space. Sports Utility Vehicles (SUVs) and people carriers are often designed with practicality and storage in mind. The C-Max is one of a few cars that offer the convenience of rear sliding doors to allow loading in a confined space. There are various seating configurations and interior layouts allowing for maximum flexibility, catering both for a large family and for smaller families with a lot to transport! There are numerous spaces to place items, and several seats even fold away to allow extra storage. 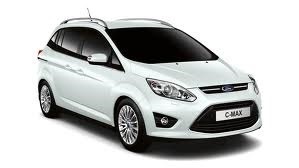 The Grand C-Max is also excellent for fuel economy, especially compared with other vehicles in its class. As a vehicle with low running costs, the price for new drivers insurance wouldn’t be too expensive. If you’re willing to sacrifice some aesthetic appeal, an estate car is a great choice when it comes to space and practical storage. The Skoda Octavia boasts a huge 600 plus litre boot space, which almost triples in size when the rear seats are folded down – the Skoda is also less jarring on the eye to other vehicles of this type and regularly tops polls among family car owners. It’s economical, relatively cheap to run, and some models even boast no road tax, thanks to emission levels of less than 100g/km of carbon dioxide. 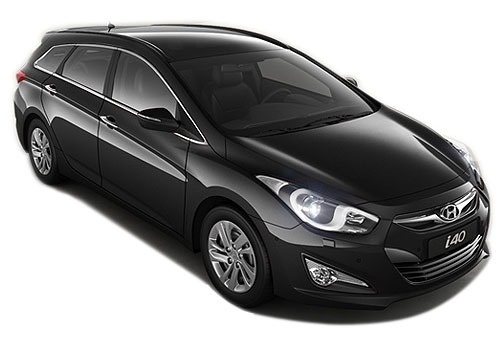 The Hyundai i40 is a flagship model for this ever-improving brand. With a size and internal dimensions comparing to the Ford Mondeo, the i40 boasts a great range of internal storage options, including underfloor storage and adjustable luggage holders. The boot size is impressive, and with a good series of trim options, great economy and low emissions, the Hyundai is a terrific and relatively low-cost option in the family car market. It also scores well on EURO NCAP safety with nine airbags and adjustable sensitive lighting. Although much pricier than other cars on this list, the German car manufacturer ticks all the boxes with this excellent family touring car. There are 40/20/40 split rear seats and sliding storage options, allowing a huge amount of luggage to be fitted in, while the boot also comes with an array of space-saving devices. This is an ideal vehicle for long journeys across the UK or Europe, and is especially suited to mountainous terrain as well as motorway driving. The high specification does come at a cost, but it retains its value extremely well and scores highly in many areas.